On Saturday, April 6th, The Community at Holy Family Manor in Pittsburgh held their First Annual Spring Craft Pour fundraising event featuring two area craft brewers, Lincoln Avenue Brewery and Altered Genius Brewing Company, along with food, games and music. 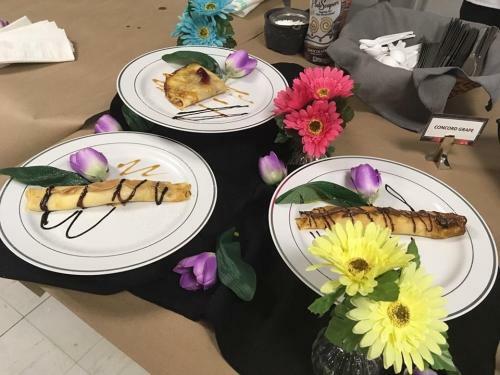 With the help of Kyle Dickey, food service manager with Metz Culinary Management at Holy Family Manor, Sr. Antonina Gadacz and Sr. Daniela Bronka were in charge of the made-to-order dessert crepe station at the event. Kyle brought what Sr. Antonina had imagined to life by providing all the necessary items needed to equip the interactive made-to-order station. This isn't to say that there wasn't any bumps in the road. 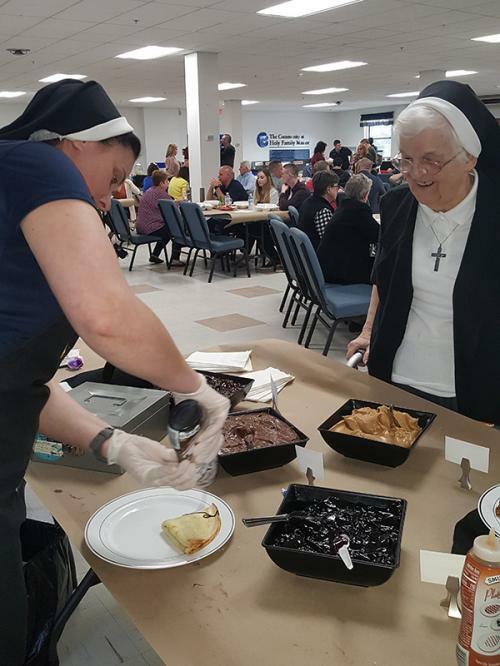 Sr. Antonina wasn’t completely confident about executing the event herself and was convinced she would set off the smoke alarms in the building, forcing all the guests and residents to be evacuated. Kyle continually tried to assure her that there was no need to be concerned and that everything would be just fine. Sr. Antonina wasn’t convinced. She even went so far as to call the local fire department (she knows the fire chief) to tell them that she was afraid of setting off the smoke alarms and that if they went off, they would have to come rescue her. The event went off without a hitch. 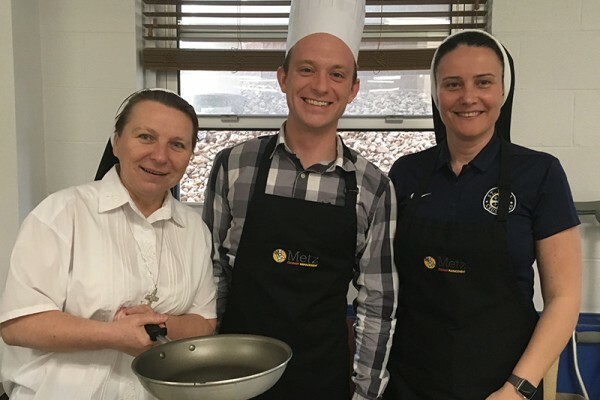 Sr. Daniela did most of the cooking, while Sr. Antonina filled, plated, and delivered the finished crepes to the awaiting guests. The crepe station raised a good amount of donations for the fundraiser. And, to top it all off, the fire department didn't have to be called.